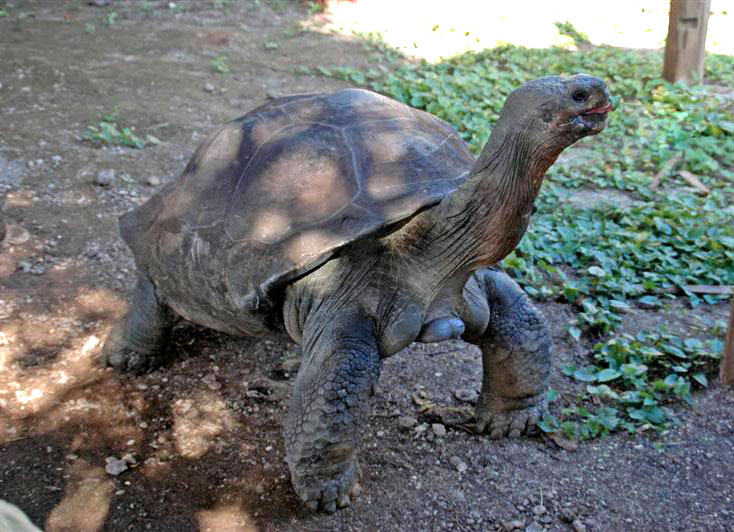 The giant tortoise is probably the best known of all Galapagos animals and even gave the archipelago its name; \’Galapago\’ means tortoise in Spanish and may derive from the word for saddle, referring to the distinctive saddle-like shell of some of the tortoises. 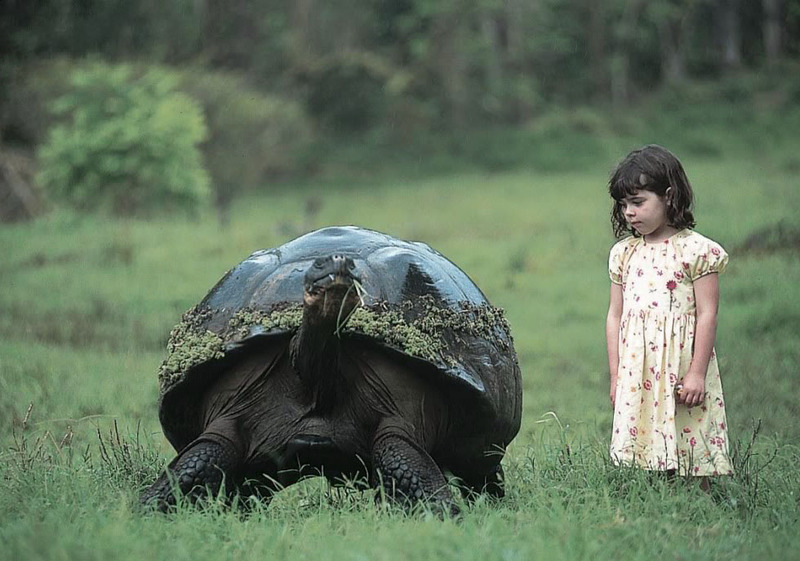 The Galápagos giant tortoise is the largest living species of tortoise, reaching weights of over 400 kilograms and lengths of 1.8 meters. 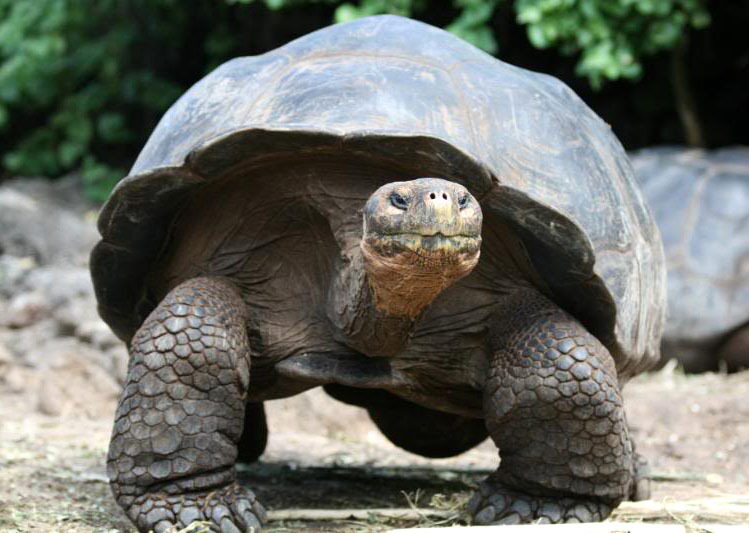 It is a very slow-moving animal, moving only 0.16 miles per hour. 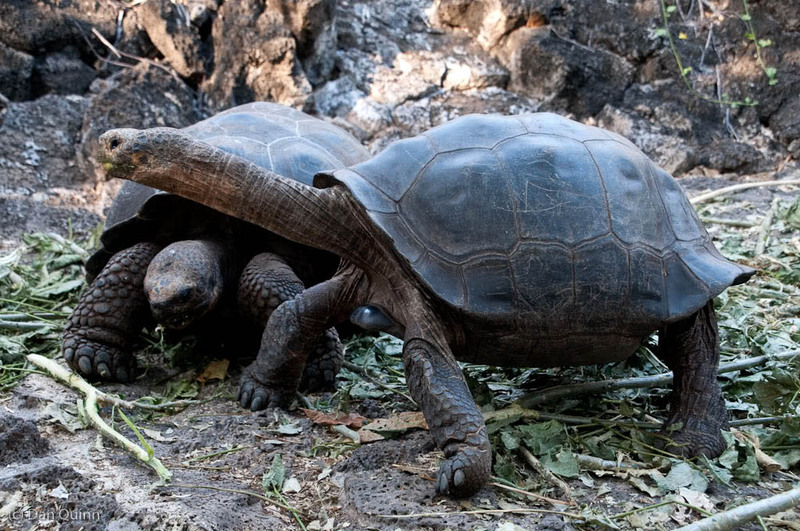 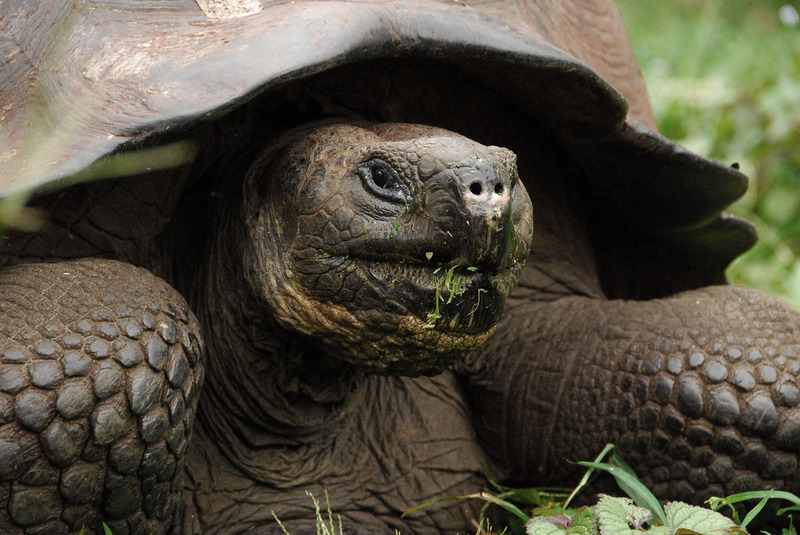 The Galapagos tortoise is an herbivoreWhat does herbivore mean? 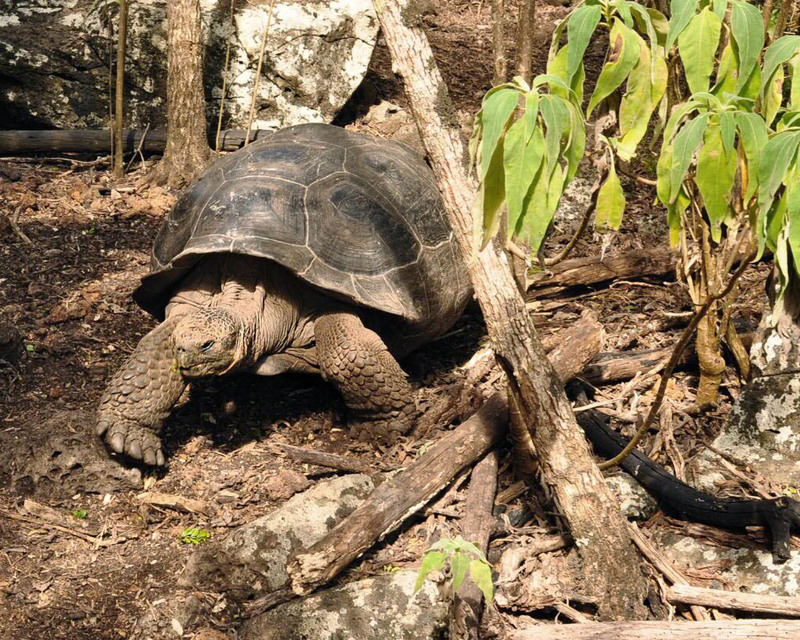 that eats prickly pear cactus and fruits, bromeliads, water ferns, leaves, and grasses. 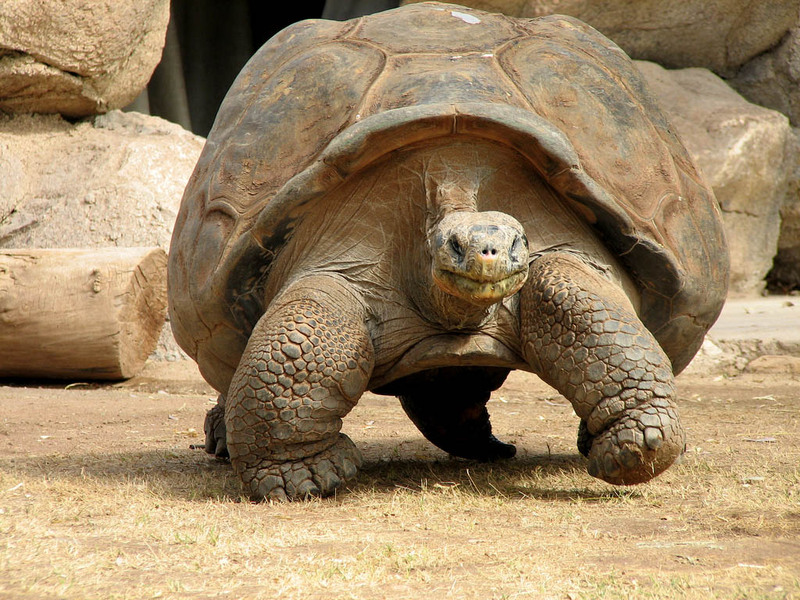 It is among the longest lived of all vertebrates. 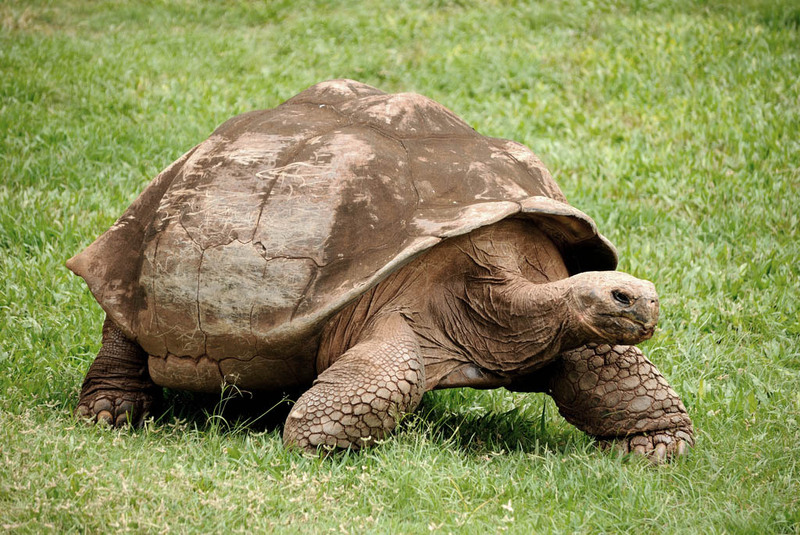 Life expectancy in the wild is over 100 years, and the oldest known individual is estimated to have reached at least 170 years of age. 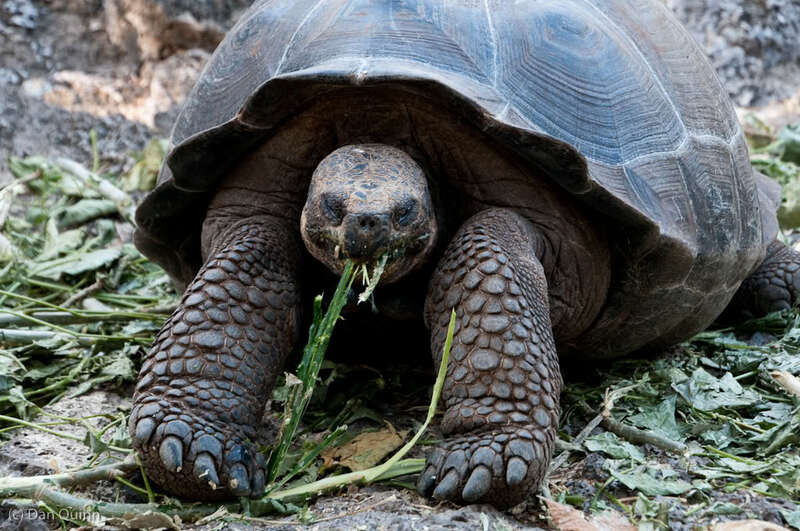 The Galapagos tortoise has a good sense of smell and smells all of its food before eating it. 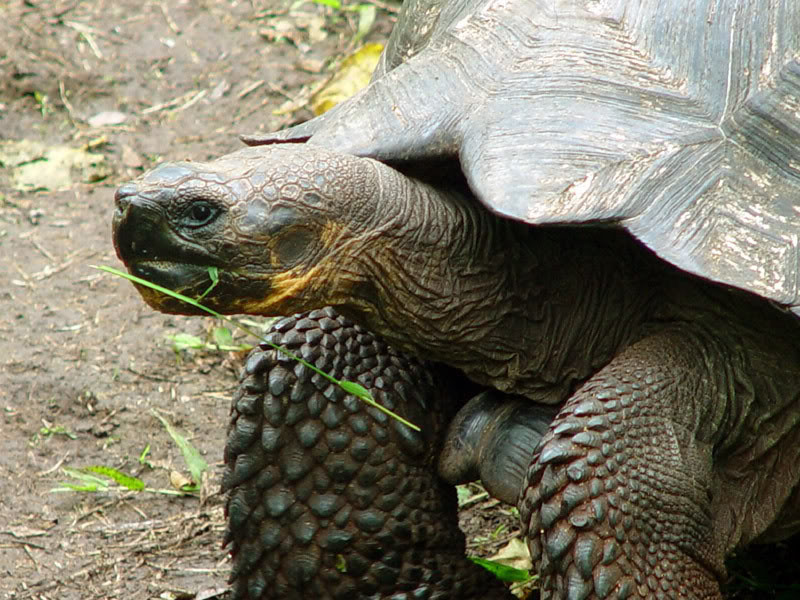 The tortoise is endemic to seven volcanic islands of the Galápagos archipelago, lying west of Ecuador.